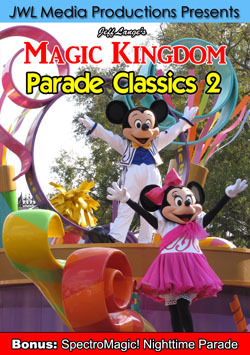 I have recently released a series of Walt Disney World parade DVDs, Magic Kingdom Parade Classics and Magic Kingdom Parade Classics 2. Please check below for more details or to order. 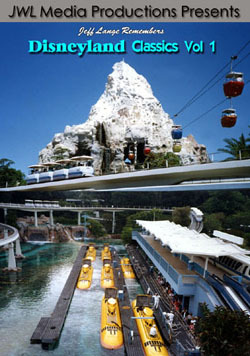 I am currently working on my next project which will be Disneyland Classics 5! 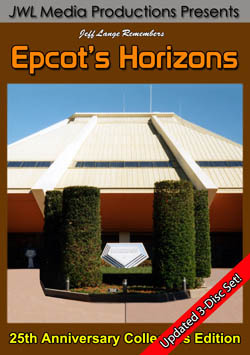 I also have last years Epcot Flower & Garden Festival DVD and Photo CD available now (more details below). 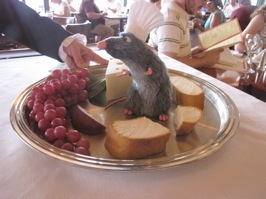 I was very excited to learn about Epcot’s newest addition over the past few weeks, WDI’s Living Character Initiative Remy from the Disney/Pixar film Ratatouille. 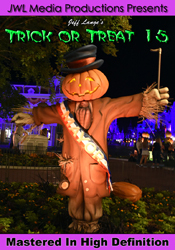 Earlier today Denise from site partner MouseSteps took these amazing photos and videos! 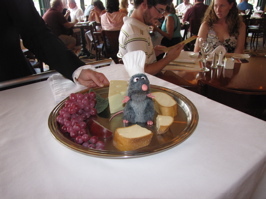 This very cute interactive character delights guests at Epcot’s Chefs de France resturant fresh from his previous engagement at Rendez-Vous des Stars Restaurant in Walt Disney Studios Park, Disneyland Resort Paris. 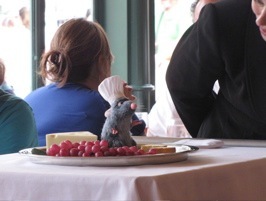 Remy entertains guests four time during lunch seating and once during dinner (he gets Sundays off.. even a rat needs a day of rest). If you would like to see many more great photos, please visit HERE. 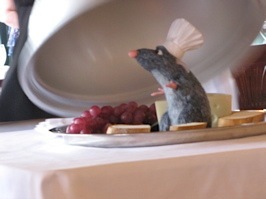 The videos below were taken on March 14th, Remy is set to spend the next 6 months at Chefs De France at Disney’s Epcot theme park (call and find out if he’ll be at your meal if you expect to see him). 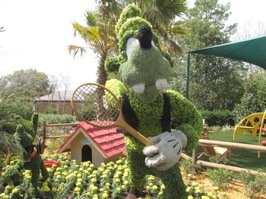 This is the fourth and final installment of great pre-opening photos from the 2009 Epcot International Flower & Garden Festival! 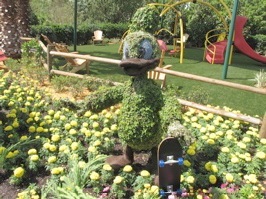 The new themed play area “Let’s get Moving” features the fab five characters including Goofy (above left) Donald (above right) and Pluto (below left). 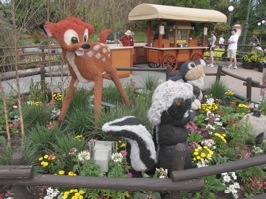 More recently added topiary (below right) from the animated classic Bambi. 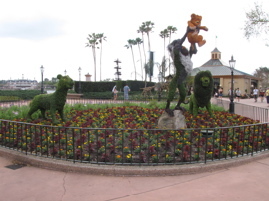 Below are more of the “Simba’s Birthday Celebration” topiaries in a classic scene based on the Disney animated film The Lion King. 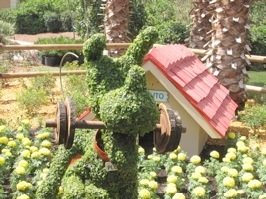 Epcot’s 2009 International Flower and Garden Festival starts on March 18th. 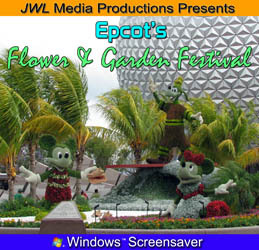 Available Now: Epcot’s Flower & Garden Festival DVD and Photo CD! 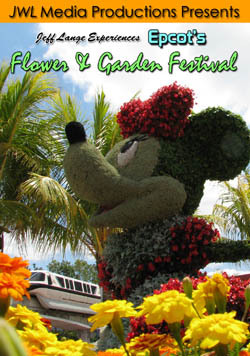 Celebrate spring at one of Disney’s most anticipated events of the year: the Epcot International Flower and Garden Festival. JWL Media Productions presents “MouseSteps” Denise Preskitt’s unique perspective on the Epcot International Flower & Garden Festival! 101 high-resolution images let you bring home your favorite displays from this highly anticipated spring event to enjoy each and every day. Please click HERE for sample photos. 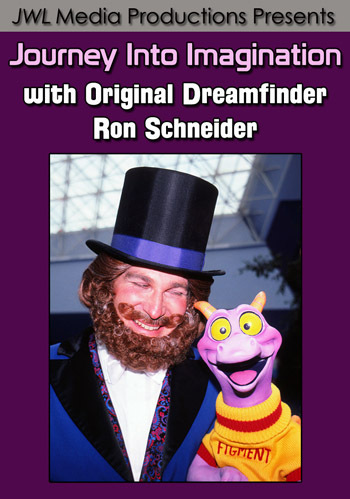 Jeff Lange takes you back in time to experience this second in a series of DVDs featuring classic parades from Walt Disney World’s Magic Kingdom! 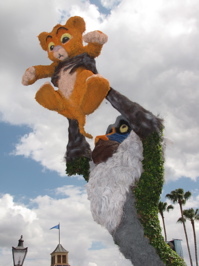 Features the following classic parades: “Disney Dreams Come True Parade” (2008), “Celebrate A Dream Come True Parade” (2009), “Move it! Shake it! Celebrate it! Street Party” (2009) and special bonus: “SpectroMagic! Nighttime Parade” (2006)!